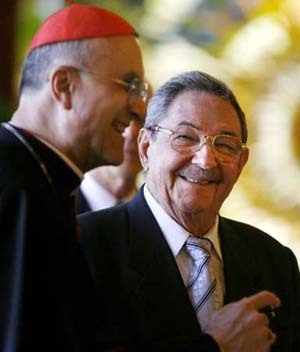 The visit to Communist Cuba by Cardinal Tarcisio Bertone, Secretary of State to the Holy See, on February 21-26 caused unrest and outrage among the Catholic faithful on the island and in exile because of the diplomatic support that his visit signifies for the Cuban regime at a particularly delicate political juncture. Above, Card. Bertone offers Raul Castro best wishes as new dictator of Communist Cuba. Before embarking for Cuba, in statements to Avvenire, official newspaper of the Italian Episcopate, Card. Bertone acknowledged that this trip was in response to an invitation of the Cuban Bishops to commemorate the 10th anniversary of John Paul II’s trip to Cuba. He also noted that it was the fruit of “a particularly warm invitation from the civil authorities,” that is, of the current Communist jailers. Most shockingly, the head of the Vatican diplomatic corps added that “Cuba is proof that dialogue, if it is sincere, always bears fruits.” Apparently he forgot the Gospel warning that a bad tree never gives good fruit (Matt 7:18). Nor did he lose the opportunity to praise Archbishop Cesare Zacchi, (1914-1991), the Apostolic Nuncio during the early years of the Communist Revolution notorious for his collaboration with the regime. Zacchi went so far as to refer to Castro as “a man with deep Christian values.” According to Card. Bertone, he did “very much” to “successfully” stimulate relations between Havana and Rome (, February 19, 2008). Cuban Foreign Minister Pérez Roque, who awaited Bertone at the airport together with Church and Communist authorities, cynically said that he was receiving the Prelate with “respect and hospitality,” and that this visit was the expression of the “excellent” relations between the regime and the Vatican. Card. Bertone also did not fail to make emphatic statements against the North American embargo, apparently forgetting that the cause of the problem is the Communist regime’s ruthless internal embargo against the Cuban people. This trip to Cuba and interview with the new-replacement dictator took place 10 years after the journey of John Paul II, which had raised such great hopes for Cuba’s freedom around the world. In reality, to judge by his own confessions to some journalists, the papal envoy left the interview with his lips and heart tainted by concessions, his ears filled with promises, and his hands empty: “Everything always begins with promises, but we expect an opening, since nothing is impossible.” (Isabel Sánchez, AFP; El Nuevo Herald, Miami, February 27, 2008). 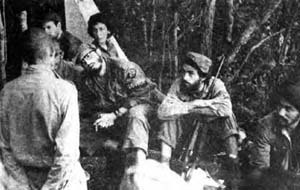 Bertone’s timid references to the prisoners on the island, made at the stairway of the plane taking him back to Rome, were not sufficient to attenuate the bitter flavor left by his stay in Cuba, especially among the political prisoners and their families. The pro-Castro attitude of Card. Bertone was already manifested on his previous trip to Cuba in October 2005, when the then-Archbishop of Genoa had a long interview with Fidel Castro. Afterward, he praised the “remarkable lucidity” of the tyrant and expressed his conviction that Fidel had grown in “respect for religion” and “appreciation for the Church,” concluding, against all evidence, that in the island-prison “the opening is already complete” (Armando Valladares, "Cardenal Bertone-Cuba: el Pastor ‘bendice’ al Lobo," Oct. 25, 2005). In fact, the gravest aspect of the Prelate’s trip to Cuba is the enigmatic continuity of the policy of détente that the Vatican and important Church figures have made with the Caribbean tyranny for almost five decades. This policy dates back to the years when Archbishop Zacchi, recently extolled by Card. Bertone, was Nuncio in Cuba, and the epoch when Agostino Casaroli, then Secretary of the Vatican Council for Public Affairs, affirmed in his 1974 visit to Cuba that the island Catholics were happy. It is an enigmatic continuity that has seen many unfortunate episodes with Cardinals and high Prelates of various countries that have made pilgrimages to Communist Cuba, which I have addressed in other articles. 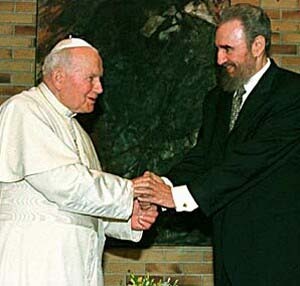 Above, JPII extends his hand and warm greetings to Fidel Castro. Below, Fidel Castro questioning a farmer who was killed shortly after without a process. It is an enigmatic continuity that includes John Paul II when on January 8, 2005, upon receiving the credentials of the new ambassador from Cuba to the Holy See, he made an astonishing acknowledgement of the various “goals” supposedly achieved by the Communist Revolution regarding “sanitation,” “education,” and “culture,” through which an “integral human betterment” was realized, including the “harmonic growth of body and spirit,” something that set Catholic Cubans at unprecedented spiritual crossroads (Armando Valladares, "John Paul II, Cuba and a Problem of Conscience”, January 15, 2005 and "Cardenal Sodano y Fidel Castro: el Pastor sale en auxilio del lobo", May 11, 2003). Is this how the papal vision can summarily reduce the systematic extermination of Catholic Cubans, including the actual murders by firing squads of young martyrs whose last words were "Long live Christ the King! Down with Communism!" and the spiritual murder of entire generations? Regarding the future of Cuba, I suspect that what is being prepared is a Castroism without Fidel with the support of the Church at the highest level. This new Castroism will try to save the supposed social "achievements" and "goals" of Communism in Cuba, especially in education and health. In reality, however, these “achievements” were and continue to be implacable instruments for the control of consciences and the extermination of the Faith in children, youths and adults. This is not the first time that my conscience obliges me to publish critical - but invariably respectful and well-documented - commentaries about the diplomatic relations of high Church figures with the Communist State. 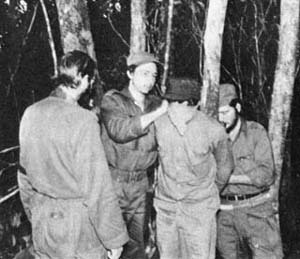 They are comments made by the imperative of conscience of a faithful Catholic and Cuban political prisoner for 22 years, whose faith was vivified hearing the cries of those young people who were shot by firing squads, whose last words were expressions of faith in the Church and repudiation of a system that, to use the term of then-Card. Ratzinger, Prefect of the Congregation for the Doctrine of the Faith, is the "shame of our times." during the Reagan and Bush administrations.